After Mario Puzo wrote his internationally acclaimed The Godfather, he has often been imitated but never equaled. 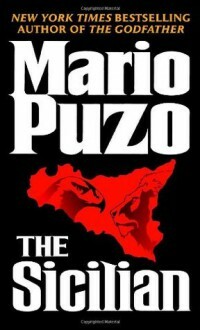 Puzo's classic novel, The Sicilian, stands as a cornerstone of his work--a lushly romantic, unforgettable tale of bloodshed, justice, and treachery. . . .The year is 1950. Michael Corleone is nearing the end of his exile in Sicily. The Godfather has commanded Michael to bring a young Sicilian bandit named Salvatore Guiliano back with him to America. But Guiliano is a man entwined in a bloody web of violence and vendettas. In Sicily, Guiliano is a modern day Robin Hood who has defied corruption--and defied the Cosa Nostra. Now, in the land of mist-shrouded mountains and ancient ruins, Michael Corleone's fate is entwined with the dangerous legend of Salvatore Guiliano: warrior, lover, and the ultimate Siciliano. Mario Puzo's style is rich and his characters and varied and full of depth.Puzo at his best! Loved the book, but most of all, I loved Guiliano. What a beautiful character, inside-out. Puzo once again delights us with an intriguing book and a great story.